Lebanon (Mission Network News) — Lebanon’s President Michel Aoun on Friday began pushing for safe zones in Syria that refugees can go back to. The president stated that Lebanon would not force Syrian refugees to return, but the international community must start to collaborate so it is safe for those who wish to return to Syria. It’s not the first time an international leader proposed the idea for refugee safe zones in Syria, but Lebanon especially has reason to push for solutions to the refugee crisis since the neighboring country has taken in around 1.2 million Syrian refugees. 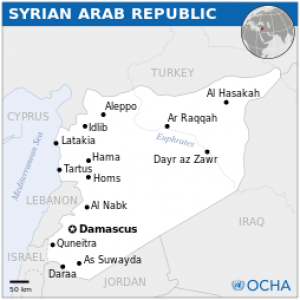 At this point, the Syrian government opposes such refugee safe zones, and says a collaborative effort by the international community would violate Syria’s sovereignty. Meanwhile, Syrian adults in Lebanon are starting to find basic work. And Christian Aid Mission’s Steve Van Valkenburg says, while nations engage in grand-scale debates, it’s the kids who especially suffer.